In Modena, homeland of supercars and motor valley of Italy, Energica Motor Company has utilised F1 and Le Mans technologies and engineering to produce ‘Energica EGO’, the first high-performance full-electric motorcycle. Using a 11.7 kWh lithium polymer battery that drives an oil-cooled, permanent magnet AC motor that produces the equivalent of 145bhp. The EGO produces 200Nm of torque and reaches a top speed of 150mph. Italian additive manufacturing, rapid prototyping and high-precision machining services company, CRP Group used laser sintering (LS) technology and Windform’s carbon or glass fibre-filled composite materials to create innovative and avant-garde solutions, accelerating the prototyping and product development phase, ultimately enabling Energica to bring EGO to market faster. 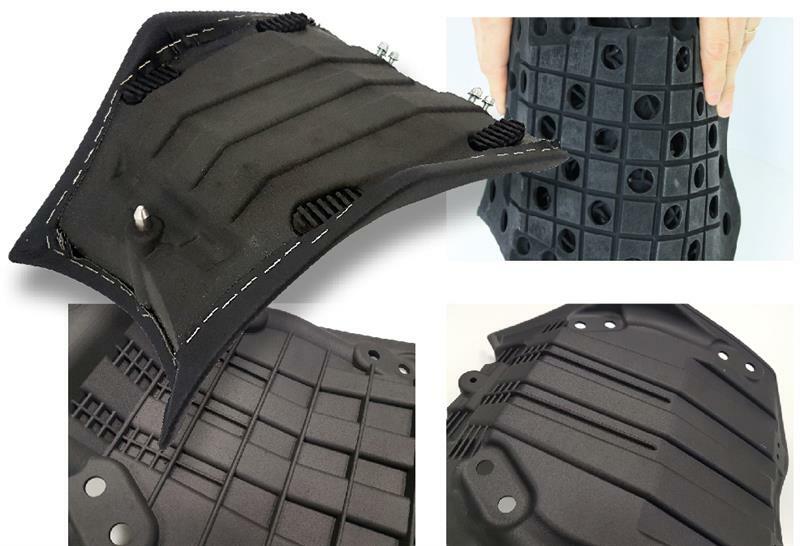 CRP Technology, the arm of the Group that deals with professional 3D printing, handled the construction of the functional 3D printed seat and passenger seat for the R&D and testing phases. The seats are made up of a soft seat and a seat plate. The seat plate is a resistant component, as it supports the soft part that must bear the weight of the rider. It must also guarantee flexibility to avoid damage resulting from the use of the bike on rough roads and sporting use. In addition, the seat can be opened to allow access to the charging socket: The seat plate is made from Windform GT, a polyamide-based glass fibre reinforced composite material which is suitable for applications where resistance and elasticity are required regarding vibration and shock. The next phase involved the bonding of the two parts and fixing the upholstered covering to the component with staples. The 3D printed prototype was then returned to the Energica team who mounted it directly on to a motorbike and tested it on the road. By the tests carried out on the first 3D printed prototype, the Energica staff noticed a slight bending of the seat that exceeded the initial design specifications. So, a ribbed structure was added to the base of the seat plate to stiffen the component. The new version of the seat plate prototype with the ribbed structure, was manufactured by CRP from Windform GT and LS technology. The Windform RL prototype soft seat was replaced by foam. The two new parts were subsequently bonded and upholstered. This second prototype was then returned to Energica for testing. These tests gave positive results meaning the slight bending issue had been successfully overcome. Once the project was approved by the Energica team, the mould makers developed the mould for industrial production. The SL 3D printing technology and Windform composite materials enabled the Energica team to shorten product development phases, and to continue testing the prototype directly on the motorbike while waiting for the end-use plastic part. “The availability of a whole range of high performance composite materials for the creation and manufacture of functional prototypes was the key,” says Giampiero Testoni, Energica’s CTO. “Additive Manufacturing and Windform materials by CRP Technology have allowed us a comprehensive approach on the prototypes, carrying out all the tests both static and on the road. 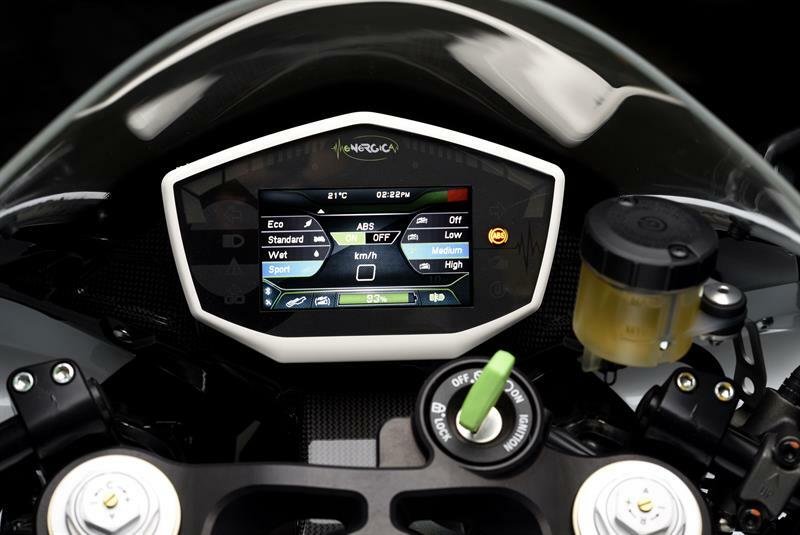 The Energica team, along with injection moulding company Cobo, created a dashboard for Energica EGO capable of containing, protecting, and isolating its complex electronics that provide the rider with an easy to read menu and advanced user diagnostics. Again, CRP Technology handled the construction of the functional prototypes. It produced three functional prototypes, using LS technology and Windform LX 3.0, a polyamide-based composite material reinforced with glass-fibres. The Windform prototype was assembled and returned to Energica where it passed a road test under stress from vibrations, impacts, and multiple weather conditions. The second prototype was simply painted to conduct colour tests. The third prototype was a hybrid version which enabled Energica and Cobo to carry out precise assembly tests. The lower part was 3D printed using Windform LX 3.0, and the upper part by plastic injection. Testing showed the plastic injection tolerances calculated were the same as those of the Windform composite material used. Once the project was approved, the mould was developed for industrial production.